The building block is on show in the laboratory corridor of ESA's ESTEC technical centre in the Netherlands, visited during public tours from neighbouring Space Expo. Produced using a binding salt as 'ink', its design is based on a hollow closed-cell structure – combining strength with low weight, similar to bird bones. The structure was made during an initial feasibility project on lunar 3D printing. 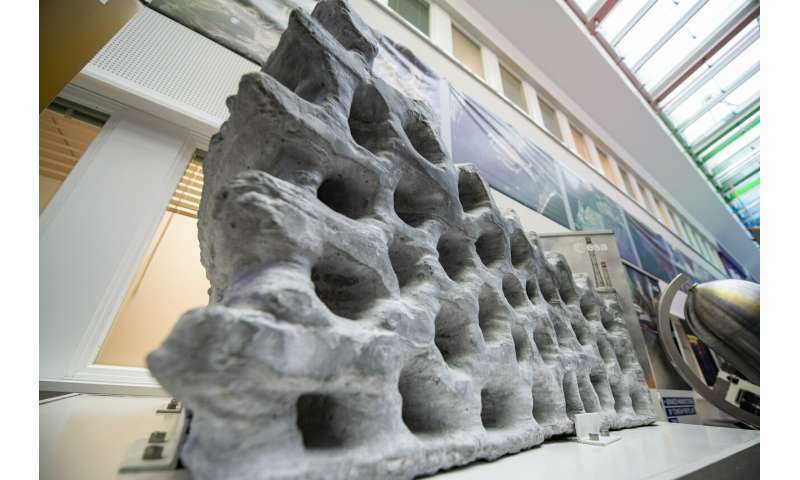 ESA has subsequently investigated other types of lunar 3D printing, including solar sintering and ceramics. A recently completed study also looked into all the ways that 3D printing could contribute to the construction and operation of a lunar base, and included a competition asking the public for ideas to 3D print to make the Moon feel like home.